As a child, i was always raised to know the value of money. From a young age my parents taught me many valuable lessons about money and explained everything to me and ever since then I’ve never taken it from granted. 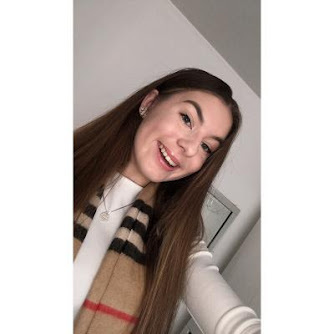 I’ve always been lucky when it comes to money, my family has always treated me and spoilt me but as I’ve got older and began having pocket money, I realised lots of tips and tricks to save. Some of them are really obvious but it’s nice to educate people even if they don’t know. Nearly all business have point / advantage cards. They honestly are some of the best things you can get to save money, recieveing offers or even just getting free things. There are lots of different types and they all benefit the businesses. Personally I think the best is boots where if you spend £1 you get 4 points & 25 points is £1 to spend. I think if anywhere you go offers a point card / advantage card you should get them, use them and thank me later. Another thing I think it’s worth doing is collecting up coupons - for example boots send them every once in awhile or when you’re ordering online search up discount codes! Yous he surprised how many sites offer discounts, free delivery or free products if you sign up for emails, look on the websites or just google it. Searching up discount codes saved me so much money at Christmas as all the 10% off added up. It’s all about looking for them. On the subject of looking, certain places sell the same products for cheaper. If I’m going to buy anything I’ll always look around the shops that sell it to see where it’s the cheapest. For example I got a face wash, cost £5 everywhere else but £4.50 in Asda. The 50p or however much you save by just searching can make the difference! Like some places generally charge more and some places like boots & Superdrug always have deals on you can save from. I don’t think some people realise how easy it can be to save money, if you just look into it! I could talk forever and use boots as an example for nearly every point. every time you say £1 will eventually add up and can really make the world of a difference so it’s so worth looking into tips & tricks! 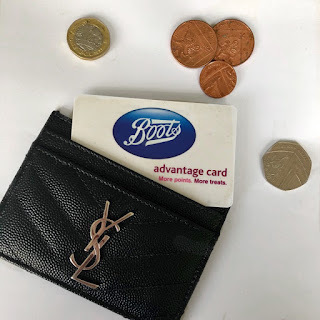 Whenever I need anything beauty related I'm usually at Boots with my Boots card ready! It's such a saviour! Student discount is also super handy if you're a student too! I think Boots have a great point system and are perfect for saving! Really great tips! I want to get some advantage cards from shops, boots is on my list!